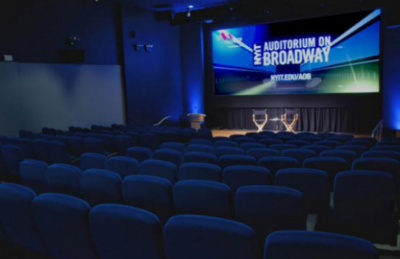 Just off Columbus Circle, NYIT Auditorium on Broadway can accommodate a range of events, from exclusive screenings to executive presentations, panel discussions to private parties. 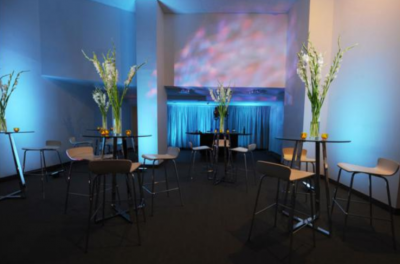 A versatile, bi-level layout boasts a 262-seat auditorium and two reception areas, including a glass-façade atrium and a lower-level concourse. 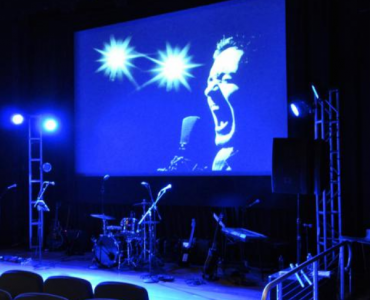 The 262-seat auditorium features a platform stage and is fully equipped with high-definition digital cinema (DCP), 3D and 35mm projection; 26-foot-wide 2D/3D screens; Dolby 7.1 Surround Sound; the latest high- and standard-definition videoconferencing capabilities, wireless broadband internet, and Mac/PC compatibilities. 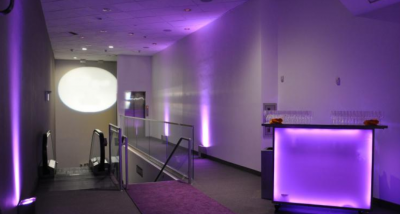 The Space Featuring two reception areas and a state-of-the-art auditorium space, this former 9,000 square-foot space movie theater was transformed into a high-end destination appropriate for a wide spectrum of occasions. The high ceilings, chrome fixtures, neutral color palette, and glass exterior all reflect a modern aesthetic. 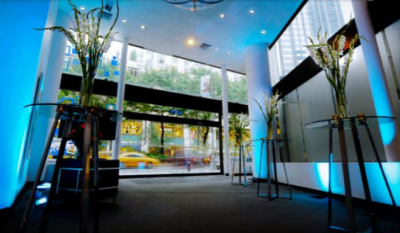 The Amenities Our experienced events staff is ready to assist you with all aspects of planning your event, ensuring that your vision is impeccably executed. 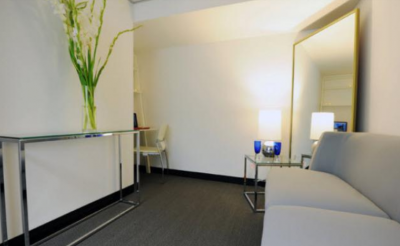 Our space comes with top-of-the-line equipment, skilled in-house audiovisual technicians, and a friendly security and maintenance staff. The space can be furnished to reflect the purpose of your event, and we offer amenities such as: Six-foot banquet tables Cocktail tables Mobile bars Table linens Two Green Rooms; one with a business center Coat room with coat racks and hangers Wireless internet In addition to our ever-growing list of preferred vendors with whom we have negotiated special client rates, to further help our clients stretch their budgets and make the most of existing relationships; we also welcome outside vendors.